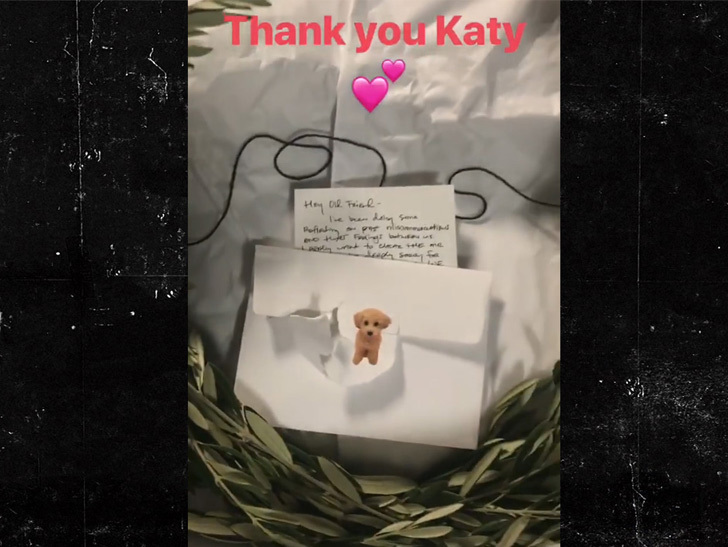 Taylor Swift and Katy Perry‘s longstanding feud is apparently water under the bridge, because Katy sent a literal olive branch … and it looks like Taylor accepted. “Hey old friend, I have been doing some reflecting on past miscommunications and hurt feelings between us. I really want to clear the air …” It goes on to say Katy is “deeply sorry” about something.